Now that the glitz and overindulgence of the festive period is well behind us, we turn our attention to the cold, dark months that are always present during the first part of the new year. For keen filmgoers, the months of January and February are always a popular time as the awards season kicks off with the Golden Globe Awards in January and the ever-popular Oscars following a month later. A few films with an historic theme have really captured the eye of the judges this year. We have already seen the screening of The Favourite, a film in which the British actress, Olivia Colman, won a best actress award at the Golden Globes for her excellent portrayal as Queen Anne. We also look forward with great anticipation to the release of the new Mary, Queen of Scots movie. 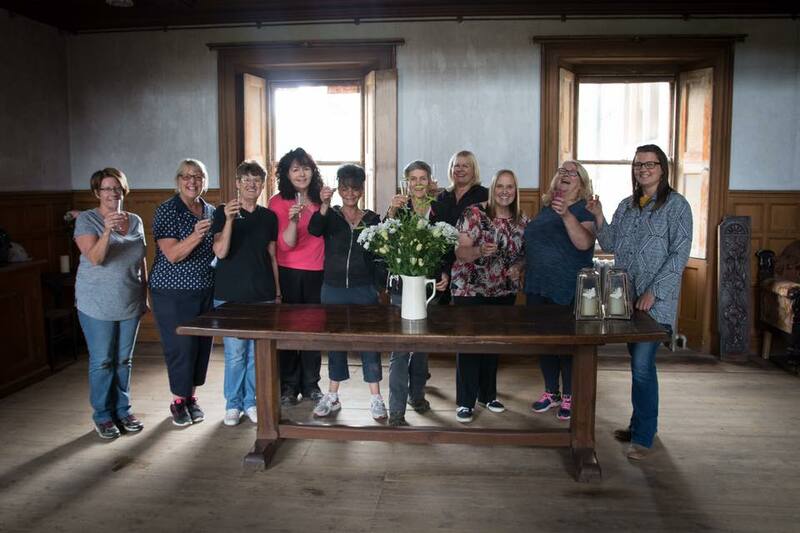 Another film recently released is one that has a real connection with Bannockburn House. The film is a biopic of the English and American performers, Stan Laurel and Oliver Hardy, a duo who enchanted audiences on the silver screen for almost 30 years. 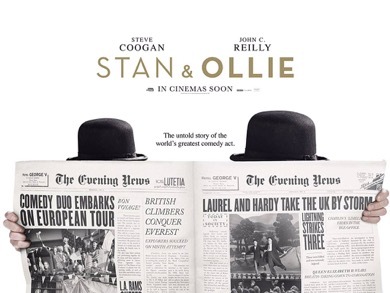 This film, entitled Stan & Ollie, is a nostalgic recreation of the pratfalls and slapstick of these two very popular film stars from the black and white film era. It is directed by Jon S Baird, and stars Steve Coogan and John C Reilly. In 1960 the eccentric Glasgow millionaire, Albert Ernest Pickard (known as A.E. 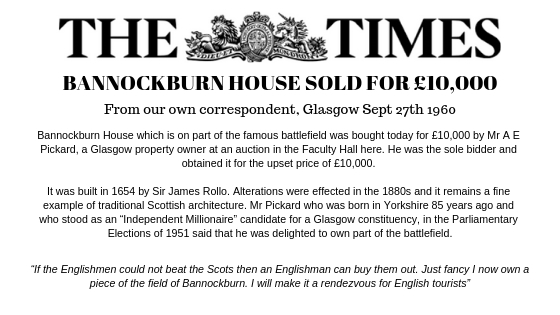 to his friends) bought Bannockburn House at an auction from the previous owner, Miss Annie Mitchell. He was the only bidder and he paid £10,000 which was the upset price. A. E. Pickard had given sixteen-year-old Stan Laurel his first break into show business. Albert Ernest Pickard, the son of William Pickard and Emma Shilling was born at Horton, near Bradford in February 1874 but was regarded as a Glaswegian because he spent most of his life in the city. He had started work when he was only ten, training as an engineer. On 31stAugust 1900 he married Caroline Dorothy Bunyan and following the birth of his children, the family moved to Glasgow in 1904. Pickard was then thirty years old and had a driven ambition to own property. He was a business genius, millionaire and an eccentric with an outrageously zany sense of humour. He saved every ha’penny and within three months of arriving in the city he bought a small theatre – the Gaiety in Elgin Street, Clydebank. He was also responsible for saving the flagging Britannia Music Hall in Glasgow by turning it into the Britannia Panopticon. This soon became affectionately known locally as the ‘Pots and Pans’ because no one knew how to pronounce it – children in particular having great difficulty in getting their tongues around the word ‘Panopticon’ which itself comes from two Greek terms: pan, meaning ‘everything’ and optikosmeaning ‘visible’ or ‘seen’. Pickard also bought the building next to this theatre and turned it into a museum featuring midgets, tattooed ladies and other attractions from the circus world. This museum didn’t make enough money for Pickard, so he turned it into a small music hall. It was in this music hall that sixteen year-old Stan Laurel, of Laurel and Hardy, made his first stage appearance. Stan Laurel was the son of Pickard’s colleague and rival, A. J. Jefferson, another Englishman who had arrived in Glasgow about the same time as Pickard himself. A. J. and his wife Madge had had successful careers as performers in their own right, but once they started having children, A.J. decided a career as a manager would provide a more stable life for his wife and children. In 1904, after working for several English halls, he took over the management of the Scotia Music Hall, which at that time had become known as the Metropole. A.J. was keen that his children should get a good education, something he himself lacked as a boy. A good education, he felt, would lead to a stable job and a regular pay-cheque, but one of his sons, Arthur Stanley Jefferson (better known as Stan to his friends) had a different view. By the age of 14, Stan felt his skills in reading and writing were perfectly adequate and so began playing truant from school and spent much of this time at the Panopticon instead, sneaking in for the 2.30 matinee. Here he would watch all the favourite comics and memorise not only the jokes, but the facial expressions, costumes, body language and delivery. The Panopticon became his classroom, and he would return home and perform what he had learned to his bedridden mother. Madge encouraged her son and Stan began to write his own routines, in which he would involve his school chums. He was desperate to perform on the professional stage and begged Pickard for the opportunity to do so. Pickard asked why he wanted to be on stage and Stan replied ‘Because I’m funny!’. 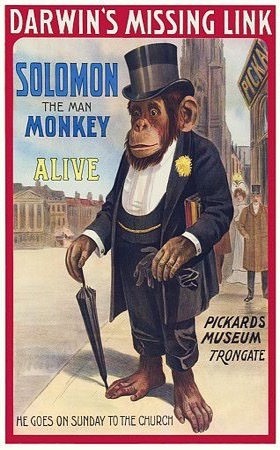 So it was, that a month after his sixteenth birthday in 1906, Stan got his chance to perform as one of the amateur acts on the Friday ‘Go-As-You-Please’ show at the Panopticon. Stan approached his father and asked if he might have the evening off from his duties helping in the Metropole as he wanted to finish his homework. How could a father refuse such a worthy excuse? He gave the boy the night off and Stan went home, but only to raid his father’s wardrobe for a suitable costume and collect his routine. Now, it just so happens that the night of Stan’s debut was a balmy summer evening and Stan’s father decided to take a short stroll and enjoy the weather. He had turned into Trongate and was walking past the Panopticon when he saw Pickard standing at the front doors, also enjoying the evening sunshine. Pickard mistakenly thought A.J. was coming along to support his son’s first ever public performance. ‘You’re just in time’ said A.E. to A.J. ‘Your Stan’s on next’. ‘Ah, good’, said A.J. to A.E., not wanting to appear as if he didn’t know what his son was up to. Together the two managers climbed the stairs to the stalls, where they found themselves comfortable accommodation in the orchestra chairs in the front row. Stan bounded onto the stage in a comedy suit covered in patches and cut up at the legs to fit him in a comedy fashion. It took a minute or two, but A.J. soon recognised it as his best suit, and noticed that the lad was also wearing his best silk top-hat. Stan started his act with a joke that didn’t go down too badly with the audience. At the end of the joke, Stan spotted his father sitting next to Pickard in the stalls, purple with rage, having recognised his sabotaged suit and decided to make a quick exit and took off the hat for a final bow. In his nervousness, he fumbled and dropped the hat. He clumsily stepped forward to pick it up, but his foot connected with it instead and he kicked it into the orchestra, where one of the helpful musicians attempted to retrieve it but tripped instead and trampled it. Stan’s face was a combination of horror, fear and panic. The audience began to laugh. Stan wishing that he had chosen a magic act instead, so he could disappear in a puff of smoke, began to side-step off the stage, grinning foolishly at the audience, unaware that the stage manager had already started setting up the next act, which was a trapeze routine. A hook left on the stage behind Stan caught on the back of his father’s best silk frock coat and tore it clean up the back. The audience was sent into fits of hysterical laughter and Pickard himself wiped the tears of laughter from his eyes as he elbowed A.J. in the ribs, commending him on having a son with such comic abilities. Stan’s father could only agree that his son’s face and natural physical comic ability (however inadvertent) was indeed very amusing and from then on he encouraged his boy in his pursuit of a life on the stage. Pickard was both an entrepreneur and a great showman – he went on to own a variety of theatres and music halls in Glasgow. 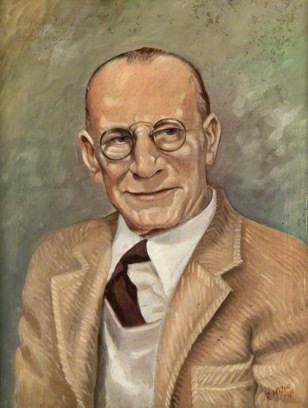 Pickard quickly saw the potential of cinema and transformed many of his theatres into picture houses in the 1930’s. He continued to buy property and in an interview in 1961 he said that he had no idea how many properties he owned or how much money he had, although he did admit he was a millionaire. He owned huge plots of land, tenement buildings and flats, country mansions (one of which was Bannockburn House), shops, offices and even a few industrial buildings. As a tenement owner, Pickard could be regarded as one of Glasgow’s original slum landlords. For example, one tenant, a grandmother lived in one of his tenement flats from the end of the First World War until the end of the Second World War. She had been widowed with five children and Pickard’s was the only accommodation she could afford, except that she couldn’t really afford that either and never paid her landlord one penny in rent. Pickard had too much of a social conscience to throw a widow and young children out onto the street. Instead, he never pursued her for the back rent, but nor did he maintain the building in which she lived. The poor woman it is said, used every bucket, pot, dish and saucer she had to catch the rain as it poured through the holes in roof during wet weather. He called his company A.E. Pickard of London, Paris, Moscow and Bannockburn. The only landlord in the city who owned more property than him was Glasgow Corporation. 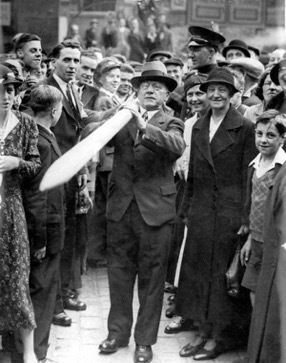 Albert Ernest Pickard, arriving with a crow-bar to open his latest cinema, the Norwood, in St Georges Road, Glasgow in 1936. He was described as an eccentric millionaire – but everything he did was aimed at winning publicity as this photograph clearly shows. Glasgow city’s first ever parking ticket! On a lighter note, Pickard was the first man in Glasgow to be booked for a parking offence. It happened when he was late for a cinema trade outing to Rothesay. He caught his train on time but only by parking his car in the middle of Platform 8 in Central Station. He then switched off the engine and jumped into the nearest first-class carriage. When he returned to Glasgow the following day, his car was still where he had abandoned it, but a bit of paper – the city’s first ever parking ticket – was stuck to the window. The fine, just a couple of shillings, was at first ignored, and after repeated reminders, which were also ignored, Pickard was eventually summoned to court, where he paid the fine with a £100 note. When television was introduced in Scotland, Pickard, of course, was one of the first to have one. He put it in his Rolls Royce with a huge television aerial on the roof. Pickard even stood for Parliament as ‘The Independent Millionaire Candidate’ for Maryhill, feeling he had a good chance as he owned almost every building in the constituency. He failed miserably but continued to make Glasgow a funnier place. It is recorded that divorce proceedings had been started by his wife, Caroline, but were never fulfilled as she was still married to Pickard when she died in Glasgow in 1953. On 30thOctober 1964, after an amazingly full life, Albert Ernest Pickard died, aged 90, from carbon monoxide poisoning following a house fire at his home in 16 Belhaven Terrace in Glasgow’s fashionable West End, this was just four years after buying Bannockburn House. Albert Ernest Pickard will be remembered as the last of the great eccentrics with a heart of gold. He never threw a tenant out of his property and gave generously to people who were in need and he also secretly gave money to charity. Albert Ernest Pickard was survived by his second wife, Margaret (Rita) Millar. His ashes were scattered in the Garden of Remembrance within the Western Necropolis in Glasgow. Information on Stan Laurel extracted from Stan Laurel – The Story of the Britannia Music Hall, written by Judith Bowers.